It is the most wonderful time of the year, I know… where has the time gone…? The festive feeling is taking over here at Office Reality, the tree is currently lighting up the lobby and the team is looking forward to their visit from Santa! (all thinking they have been good this year). Our Christmas tree, however, does not contain the fantastic new design of baubles, created by the British designer Sebastian Bergne. 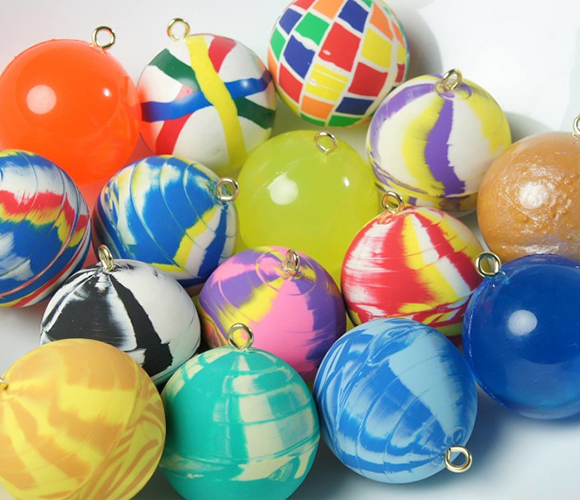 This talented artist has been inspired by the all-time favourite toy, the bouncy ball, to create a fantastic decoration. 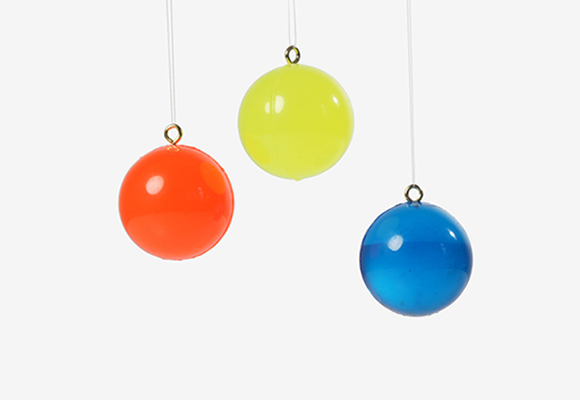 The baubles, all with a 4cm diameter span, are available in mixed and solid colours and minimal brass circles are set into the top. A playful twist on a traditional ornament. 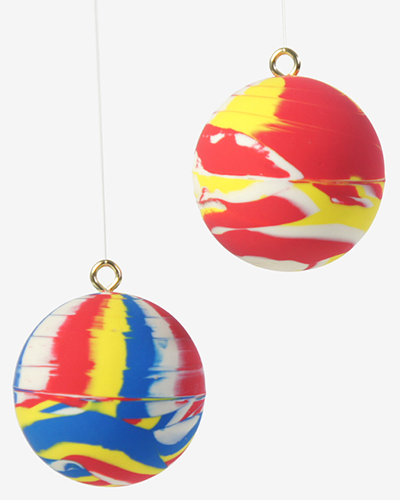 The “marble effect” that is created through mixing colours, emphasise the originality that these decorations create. In addition to looking great, they are the same childhood toy, so they are less fragile. We all remember breaking everything else in the house rather than the toy itself! 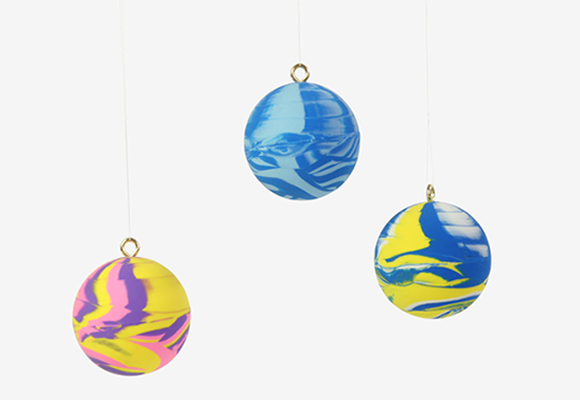 The baubles almost look like planets. Who wouldn’t want to have a Christmas tree that looks like it has it’s own solar system? A Sci-Fi tree with decorations that can’t be smashed when your pets decide to play with them or brush past. It’s like a Christmas miracle! And on that note, the team at Office Reality would like to take this opportunity to wish you all a very Merry Christmas and a blissful New Year! Hopefully we will hear from you in 2016…!